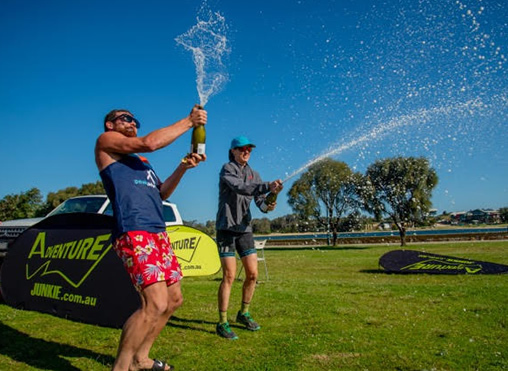 Fun, tough and spectacular was the weekend of racing in scenic East Gippsland. 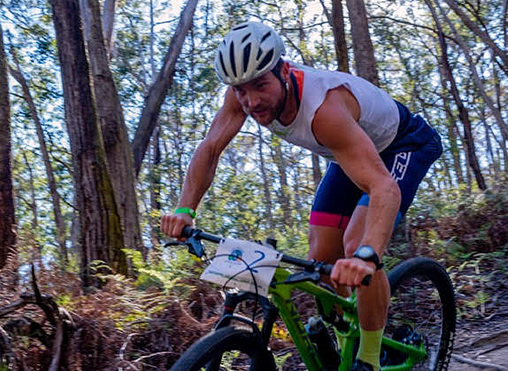 The second edition of the East Gippsland Challenge was one of the most competitive multisport races over the last few years with the best national athletes taking part. The multisport race was the second event in the Adventure Cup series which consists of 3 multisport events being held during spring-autumn 2018-2019. The final race is the Grampians Challenge, which will be held on the 24th of March 2019. The winner of this challenge will receive a free entry and accommodation package to the European Multisport Championship, Åre Extreme Challenge, which will take place in Sweden on the 29th of June 2019. After the floods last year, the weather Gods turned on perfect racing conditions for this year’s East Gippsland event. The course began with a 26 km mountain bike leg along flowing single tracks, followed by a 16 km trail run along hidden paths and through numerous steep gullies, then the final spectacular 11 km paddle leg looping around Rigbys Island. In the men’s field, locals Tim Boote, James Pretto and Luke Haines made the podium. Tim managed to gain a short lead during the ride, with James catching up to him on the run, but the final three ended up neck and neck during the paddle leg and they hit the beach together for the last 400 metre sprint to determine the winner. James claimed victory and collapsed on the grass suffering severe cramping. In the women’s field, Bern Dornom was the firm winner of the race. During the first leg on the bike, Bern and Maria Plyashechko shared the lead, but come the beginning of the trail run leg Bern took off, and from there no one could get anywhere near her. The bronze medal went to Marlena Ahrens, a world class marathon kayaker. After the finish of multisport race it was time for the kids to race. Cheered on by their adult multisport race counterparts, parents and spectators, the little adventure racers received their maps and completed their first ever adventure race. There were a few checkpoints for them to find, a paddle loop around a buoy and run along the rocks. Everyone loved it and were super excited to receive their prize at the finish line. The action continued on Sunday in Colqohoun MTB park where the navigation-based O-Duathlon took place. In stark contrast to Saturday’s brilliant weather, Sunday had organisers struggling to hold the tents down and all equipment and supplies were getting smashed by strong gusts of wind and hammering rain. Despite the horrendous weather, the brave race participants turned up, lined up under the arch, with their maps at the ready, and took off chasing checkpoints. There were 3 legs in total, the first on foot, then on MTB and then one more on foot. Marina Iskhakova, a Canberra-based World Champion in mountain bike orienteering, took out the win over Bern, who had come back for more after Saturday’s race. Third was Sharon Hanna. In the men’s field, Luke Haines proved, again, his great multiday racing abilities and navigation skills and took the win. In second place was Fedor Iskhakov, and third place went to Rob Davis. The race was supported by East Gippsland Shire council.